Valentine’s Day is the perfect excuse to pack up your bags and spend some alone time with the person you love. Sure, you could spend your money on flowers, chocolate, and other inane Valentine’s-themed products, but wouldn’t you rather take a trip instead? Traveling with someone else–your partner, someone you just started dating, or your longtime buddy–is an excellent way to strengthen your bond with another human. After all, there’s no greater gift than spending quality time and sharing the experience of new places and cultures with someone you care about. If you’re not sure about what sort of trip to plan, let these couples from shows on the travel channel Journy be your inspiration! Valentine’s Day travel isn’t just for romantic partners! Whisk away your bestie on an international trip (or in your hometown!) 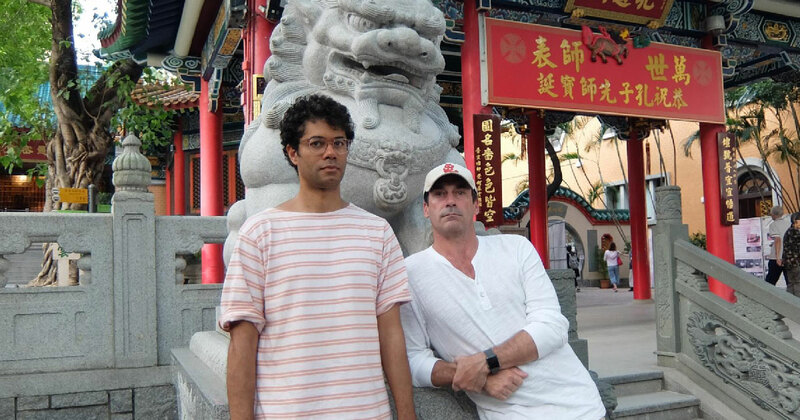 like Richard Ayoade and Jon Hamm in this episode of Travel Man. There’s no better way to soak in the culture than to walk around a major city like Hong Kong. 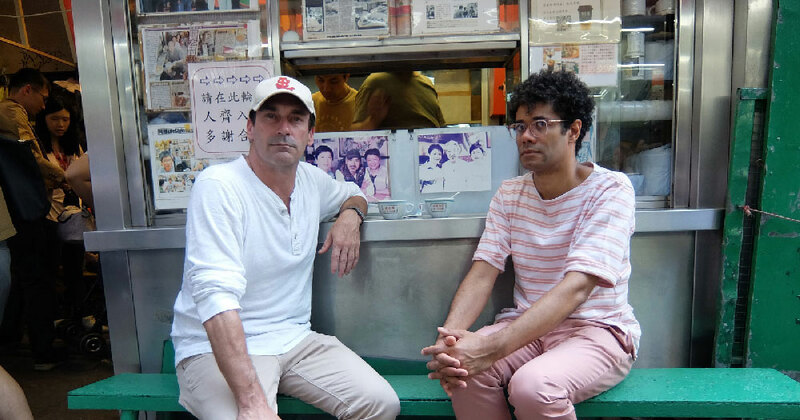 In this episode, Ayoade and Hamm do everything from sampling amazing street food, visiting the local attractions, taking a Tai Chi class, and getting a pedicure. Exploring a city by foot with your best bud is a great way to spend Valentine’s Day! Esther and Jacob of the travel-lifestyle blog and show Local Adventurer are the ultimate traveling duo. Together they’ve traveled all over the world, but what they love most is exploring unique places in their local cities. If you don’t have a ton of time or money to get away, let Local Adventurer give you some fun ideas for places to go that are in your own backyard! In this episode, Jacob and Esther explore Joshua Tree National Park in Southern California. 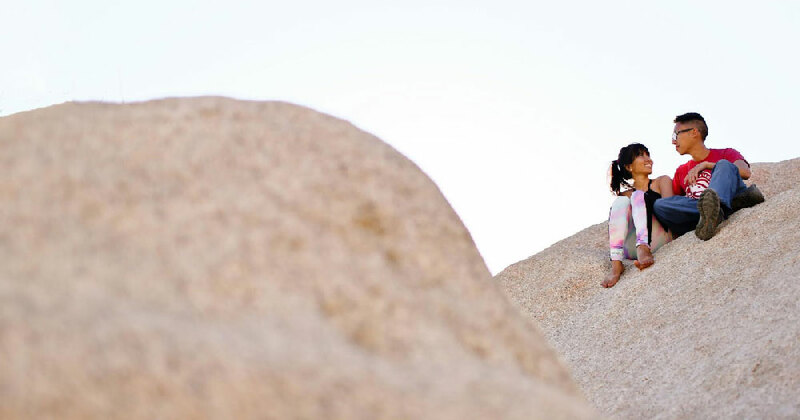 Only a 2–3-hour drive from Los Angeles, Joshua Tree is the perfect place to get away from the noise and congestion of city life and spend some real alone time with your significant other. Australian husband-and-wife visual artists DABSMYLA take an artistic approach to their travel plans. In this episode of The Wanderers, they travel back home to Australia to travel to a remote city in order to paint a mural for the local community. Travel isn’t just about pretty places: use the opportunity to indulge in your artistic and creative passions! If you’re one of those couples that just likes to lounge and take in the sunshine, we’ve got something for you, too! In Lost in Greece, Brandon books a trip to go island-hopping in Greece. Upon arriving, he meets a local, Maria. They hit it off, and together they take in the best that Greece has to offer. During the day, they hit the beach and soak in the natural beauty of the islands. Once the sun sets, they explore the nightlife scene, all while slowly falling in love. Even if you’re single, travel on Valentine’s Day because you never know who you’ll meet! There’s no such thing as a perfect vacation, and you always have to allow some room for things to go wrong. 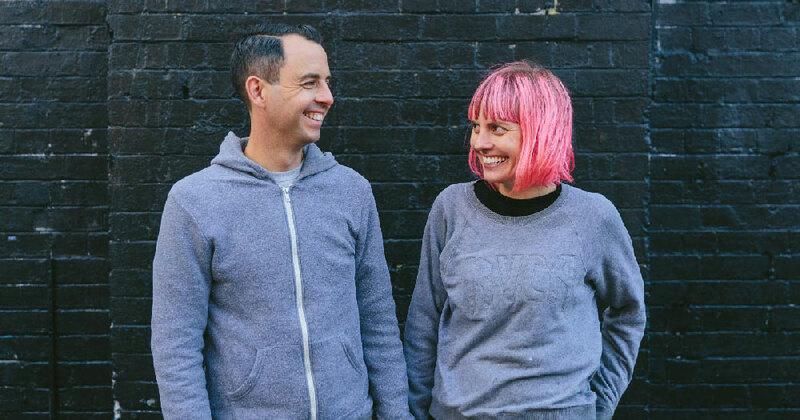 Traveling-couple Lyndsey and Robin, called the vlogging duo Travowl, know this all too well. In this episode they travel to Bali, and after deciding that they’ve spent too much time on the beach, they decide to explore the mainland. 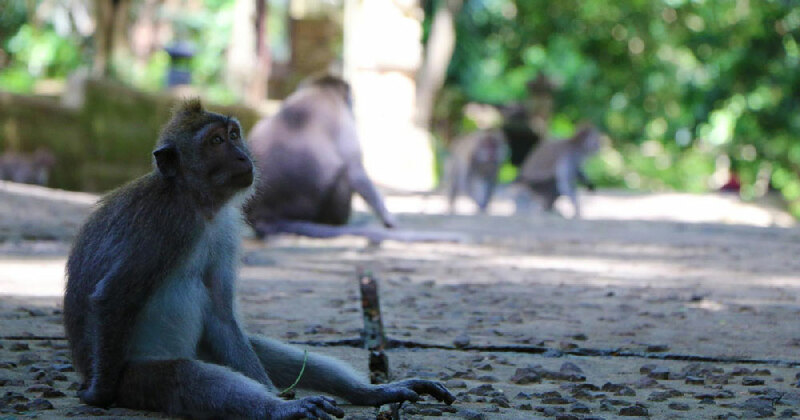 The couple quickly finds themselves surrounded by monkeys and regretting this decision. The way you handle stress and unexpected situations as a couple says a lot, so putting yourselves in these predicaments can be a good thing for your relationship! We hope these traveling couples have inspired you to take your sweetie away for Valentine’s Day! If you’re on a budget, then do the next best thing and watch Journy so that you can get ideas for your next getaway. Travel remotely, with Journy!